Thank you for taking the time to visit my website. I am Crunkatlanta - Birth name ( Eric ). 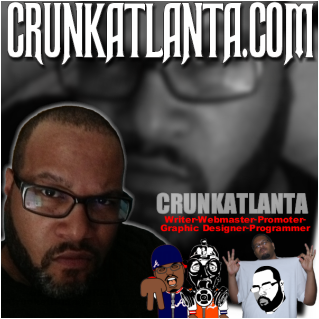 The webmaster and Chief Editor of Crunkatlanta.com , WorldStarPromo.com and Promotewho.com . With additional support blogs that I am affiliate with across the internet. 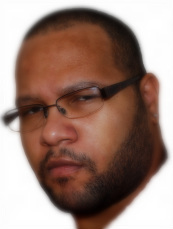 - Music Promoter ( all genres ), Web Development, minor programming, writing and graphic design. Born and raised in Detroit, MI. My first inspiration to get involved in the industry was when I realized that nobody heard of any Detroit rappers outside of Detroit. Boom .. how it all started..!! Doing Promo work for Cam'ron at the beginning of his career as an associate of a friend. Working with others doing concert promotions since the days in the beginning when Myspace was "NEW". - Why are there so many artist making the wrong mistakes in their careers? The music industry is one of the most competitive industries in the world today. With millions of artists around the globe looking for their big break, it’s tough to be the needle in the haystack that gets called out. Both the Detroit music scene and the Atlanta music scene have often been considered some of the toughest places for an artist to get recognized. Even if you’ve got the talent that’s needed to make it big, you’ve got to have the right presence and the resources to let people beyond your circle of friends find out who you are and listen to the music you put down. It’s with that in mind that you should consider an Atlanta music promoter to help you get your start. While you have the talent, an Atlanta music promoter is going to give you an opportunity far beyond that of your own connections. Promoting music is in fact about making sure all of your friends and family know the talent that you’re capable of. After all, it takes one person to hear you and realize what you can do to get you recognized in the music industry. Unfortunately, that one person is usually difficult to find, and it’s even harder to get your music in front of them. An Atlanta music promoter knows how to promote music and sell your talents. Promoting yourself isn’t just about handing out your mixtape, but convincing people that they should take the time to listen to it. Atlanta music promoter knows the ways to convince people that your talents are worth a few minutes of radio time. Your name as an artist isn’t just your name, it’s your brand. Like every business, brand marketing is the first step in making people know who you are. Through social media, street promotion and other online and offline channels, an Atlanta Music Promoter will make sure that people know who you are and recognize your “brand”, giving you more credibility. People who have heard of you before or they have heard of you are twice as likely to listen to your music, and only an Atlanta Music Promoter knows how to make sure you get heard of. Roughly, the only way to be seen is to step out into the light and stay away from the shadows. Blogs have been know to make an artist career. The days back when young talent relied on Youtube to get famous is over. With all the ways people are cheating the views and plays. Who knows what is real anymore? Social media is the same way, fake Twitter followers has made the real pages look like they aren't doing to well. The key to it all is reputation and doing business with individuals honestly. There are no shortcuts in promoting music. Get the potential fans attention, get the potential fans to see and then to listen. Tricking people into clicking on a link is a bad way to go. Now, every time that person see your name - they will be cautious about any link referring to you. My history includes affiliations / working with Crunk Energy Drink, Ozone Magazine (Detroit Rapquest), Murder One Clothing, On Tha Real Magazine, Mafia Magazine, Yeyo Tequila, Def Jam, The Ying Yang Twins, Stat Quo ,Lil Jon, DJ PAUL,4-IZE, Nappy Roots, MC Lyte, Da Muzicians, Young Tone, DJ Source - The German Giant, Seven The General, Gotcha Back Ent, E-A-Ski, MC Ren of NWA,Mo Thugs, BXC, Bohagon and several indie and underground artist. What's Crunkatlanta.com all about and what do I do? -I been doing this officially since 2004. But I've been into the business since- 1994.
Business Owners - Sales People - Bands - DJ's - Nightclub Owners -Promoters - Entrepreneurs - Artist - Musicians and anybody else seeking internet brand marketing. I've changed my marketing ways to promote with various social networks like Facebook, Google Plus,Stumble Upon, Twitter, Pinterest, YouTube and even on Myspace. Follow me on those sites. I am dedicated at what I do and feel that I can and will help you increase your exposure on social media sites- all the while saving you time and money. Hire me to post and grind for you around the clock. Wanna do business or have questions..